UPDATED Mar. 5, 2019. If you will soon be turning 65 and are new to Medicare, before enrolling in Medicare and getting the most from your Medicare coverage, you will need to make some critical decisions. As everyone’s needs are different, we have provided you with the steps below to assist you in making the first and most important choices for your future health care coverage. This framework provides you with an excellent starting point if you are turning 65 and new to Medicare. Turning 65? Watch videos from Liberty Medicare YouTube Channel. You may find the script for this video in the post Turning 65? 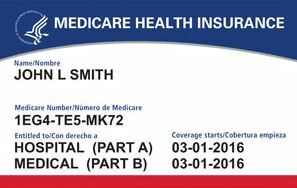 2019 Guide to Medicare Part I: What is Medicare, When and How to Enroll in it. You may find the script for this video in the post Turning 65? 2019 Guide to Medicare Part II: Critical Medicare Decisions You Need to Make. 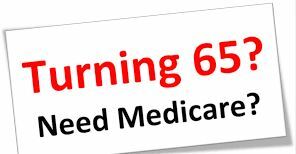 Your Medicare Card will be mailed out to you approximately three months before your 65th birthday. If you don’t receive it within the allotted time frame, you should call the Social Security Administration at 800-772-1213 or visit them online. Your Medicare card will come in the mail three months before your 25th month of disability. You will need to sign up for Medicare through Social Security during the Initial Enrollment Period, as early as three months before you’ll turn age 65. You could visit Social Security online, call them at 800-772-1213, or apply in person. 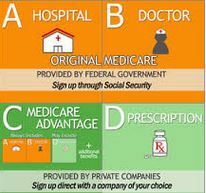 Medicare Part B requires a premium and is optional. If you don’t want it, you need to inform Social Security, and they will mail you your new Medicare card with Part A only. An Initial Enrollment Period is a 7-month period that begins three months before you turn age 65, or, in the case of disability, three months before your 25th month of disability. You can sign up anytime during the Initial Enrollment Period. If you sign up for Part A and/or Part B during the first three months of your Initial Enrollment Period, your coverage will start in most cases the first day of your birthday month. However, by waiting until you are 65 or older, your Medicare coverage will be delayed. It can negatively impact you and your health. If you are eligible for premium-free Part A, you can enroll in Part A at ANY TIME after you’re first eligible for Medicare. Your Part A coverage will go back (retroactively) 6 months from when you sign up. If you didn’t sign up for Medicare Part A (if you have to buy it) or Part B during the Initial Enrollment Period, you might sign up during the next General Enrollment Period. This period runs from January 1 through March 31 of each year. The coverage will start on July 1 of the year in which you have signed up. In most cases, you’ll have to pay a late enrollment penalty. You can sign up for Medicare Part D coverage, which is the Medicare Prescription Drug Plan. You may do so during the Initial Enrollment Period. If you didn’t enroll in Part D during the Initial Enrollment Period, you would have to pay a penalty that increases your monthly premium. The penalty is 1% for each month you could have enrolled but did not (assuming you didn’t have the creditable coverage). There is no automatic enrollment for Medicare Part D. You should do it either yourself or through an independent agent who will help you with the vast variety of prescription drug plans. Liberty Medicare is here to help guide you during all of the stages as you select and enroll with Medicare. We will assist with finding you the best and most suitable Medicare Plan for you and your needs. If you are looking for Medicare advice, let us direct you through the confusing process. To view real quotes from Medicare providers, please fill out our Medicare Quote form. Alternatively, give us a call at 877-657-7477, and you will be connected to a licensed agent/broker.